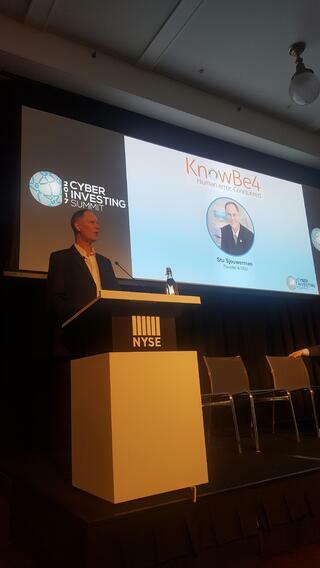 The Second Annual Cyber Investing Summit met yesterday at the New York Stock Exchange, and Kevin and I did the keynote, the first time in 5 years that we made it on stage together, which was a lot of fun. 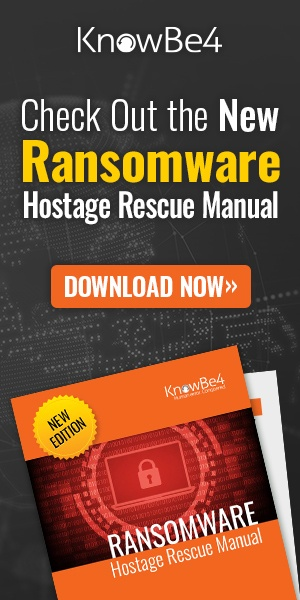 We showed how easy it is to clone a prox card, to send someone a phishing attack with a malicious PDF and last but not least, we showed the real WannaCry ransomware in action! Article at SCMedia. The Cyberwire wrote: "The discussions brought to the fore the irreducibly human dimensions of cybersecurity. The opening keynote, an engaging performance by Kevin Mitnick (once notorious, and now famous hacker, and KnowBe4's Chief Hacking Officer) demonstrated the importance of misdirection to successful attacks of all kinds. "In the mid-day keynote, former US Secretary of Homeland Security Michael Chertoff presented a broad overview of the threat landscape, highlighting the increasing convergence of criminals and nation-state intelligence services, and calling for development of international norms of cyber conflict. 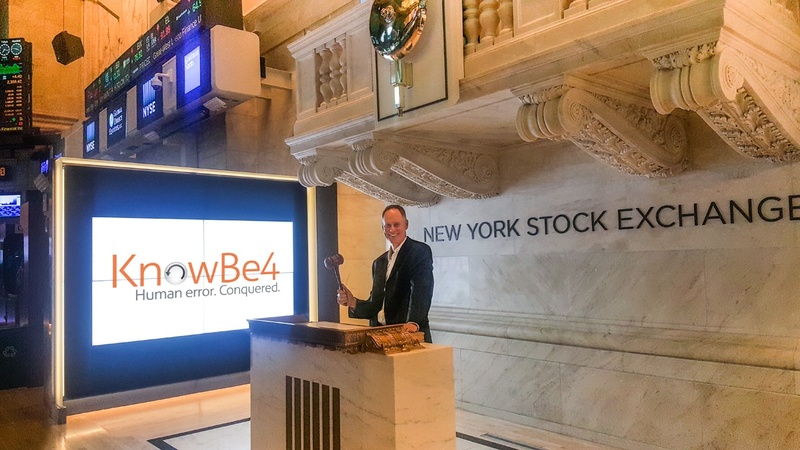 He specifically advocated that the global financial system be placed off-limits in cyber conflict, and that recommendation was not prompted merely by the Summit's Wall Street venue. The global financial system is distinctively vulnerable to disruption by cyberwar, and such disruption would have widespread humanitarian consequences of the kind nations (imperfectly) have sought to restrain." And here in front of one of the stations. 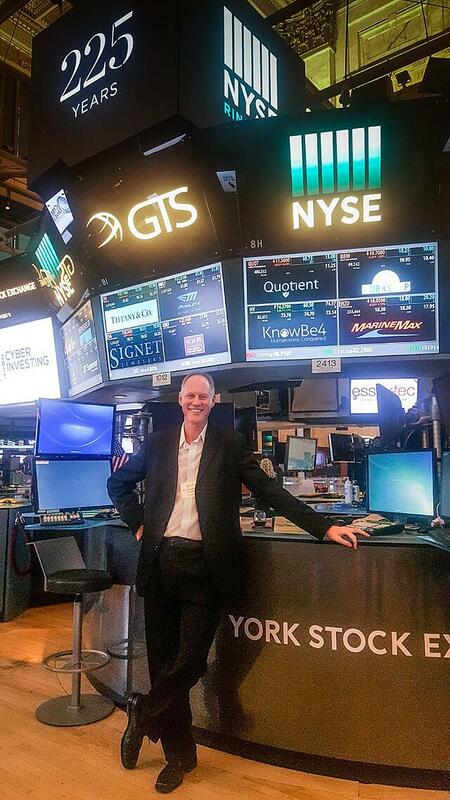 The Cyber Investing Summit had the sponsor logos prominently displayed all over the floor, so don't get the wrong impression we are listed on the NYSE. However, we are planning to be here one day!